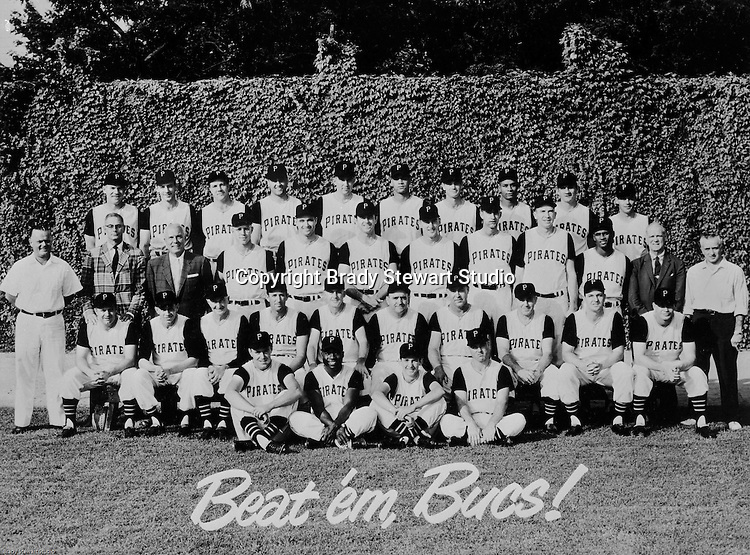 Pittsburgh PA: View of the 1960 Pittsburgh Pirates baseball team with Beat'em Bucs! burned into the original photograph. Work was ordered by a local printer that was going to make 1960 Calendar using this image.